Frank’s home district is Karonga. He in the only son raised by a single mother. Frank first met Matt Maroon while in secondary school. Matt was volunteering at Chaminade Secondary School where Frank was employed on a construction project and demonstrated himself as a very hard worker. 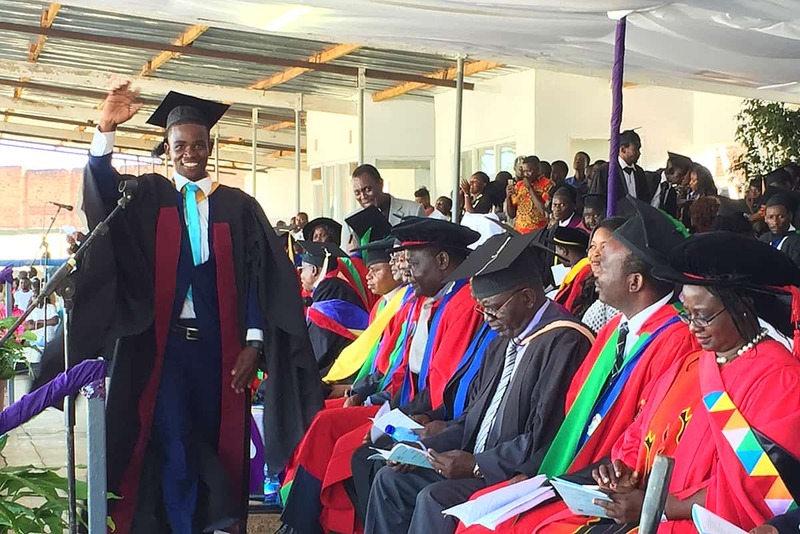 Frank graduated from secondary school in 2009 and started working together with Matt to build the Maji Zuwa campus, laying the foundation for what would soon become Determined to Develop. At that time, Maji Zuwa had one car but, not having anyone skilled in mechanics on campus, had to hire one from town whenever there was an issue. Frank was very interested in learning from the mechanics whenever they came to the campus, and became inspired to continue with his education and increase his technical skills in this field. He was accepted into D2D’s Sponsorship Program and returned to secondary school for one year in order to receive a better score on his final exams, making him eligible to enter tertiary school. His hard work paid off and he graduating with an exam score good enough to pursue higher education. With D2D’s continued financial support, Frank enrolled in Livinstonia Technical College in 2015. 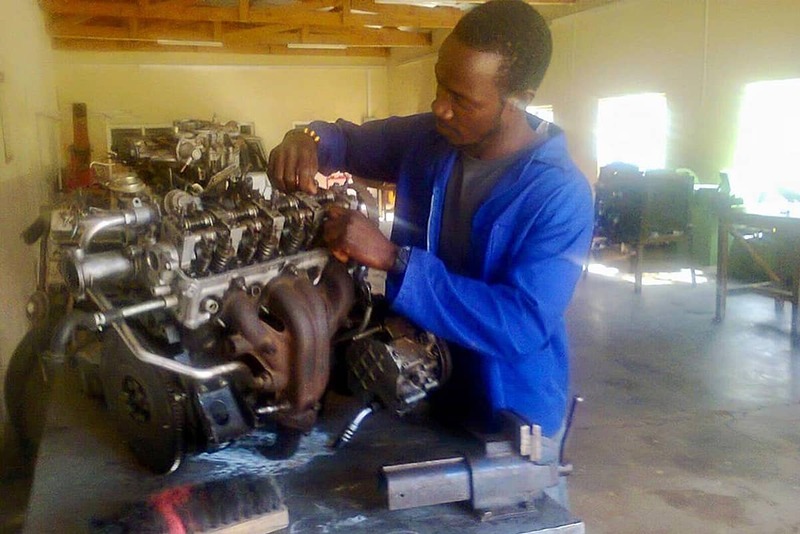 He received his certificate in Motor Vehicle Mechanics in November 2017 and immediately started work applying skills learned in school to help support D2D and Maji Zuwa as the organizations’ driver and mechanic. He works now as the Operations Officer, supporting D2D projects, overseeing construction, and continuing his work as the nonprofit’s auto repair expert. Frank enjoys fixing mechanical issues and feels the most proud once he is able to use his skills and technical work to complete a task. In his spare time he also enjoys reading novels. 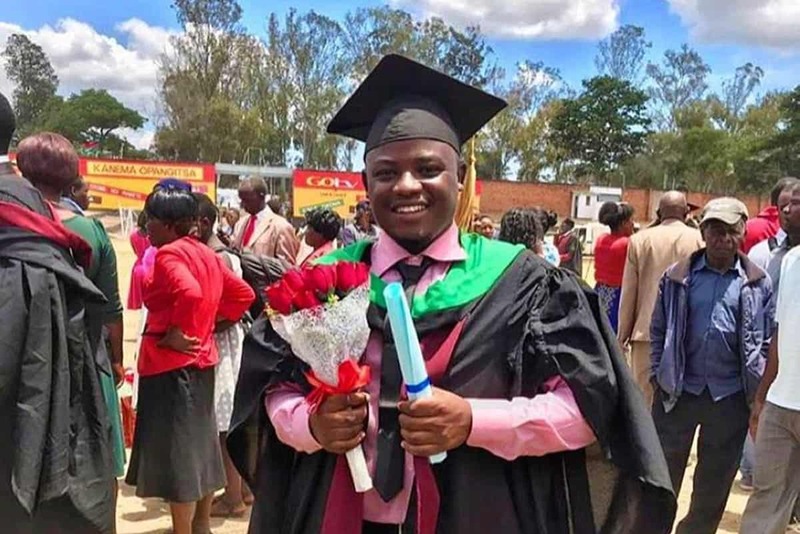 He hopes to someday return to school in order to receive a diploma in mechanical engineering and fulfil his dream of opening and managing his own garage. If you would like to sponsor a student like Frank through Determined to Develop, please click HERE.